UPDATE: SkyDrive has been renamed to OneDrive. Microsoft just made our life easier by officially releasing SkyDrive client application and is now available for download. Compatible with Windows Vista (SP2), Windows 7, Windows 8, Windows Server (SP2) and Windows Server R2 operating systems, SkyDrive client lets you easily manage your SkyDrive account right from the desktop. By installing SkyDrive application on your PC, you will be able to access, browse, and upload files to your SkyDrive account. As of now, Microsoft is offering 7 GB free space for all users and and power users can add more storage space by purchasing paid storage plans. Installing and setting up the application is fairly simple. 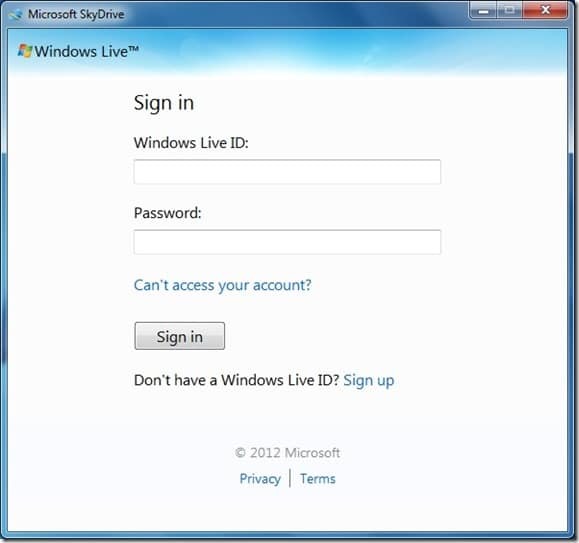 Install and run the application, enter your Windows Live ID and password to begin uploading your files and folders to cloud. 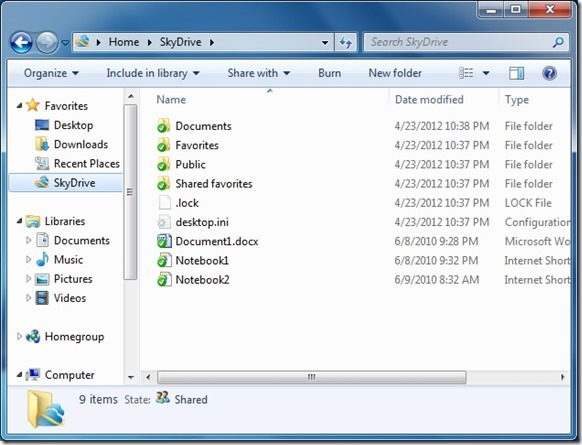 Once you install the application, you will see the SkyDrive folder in Windows Explorer Favorites. 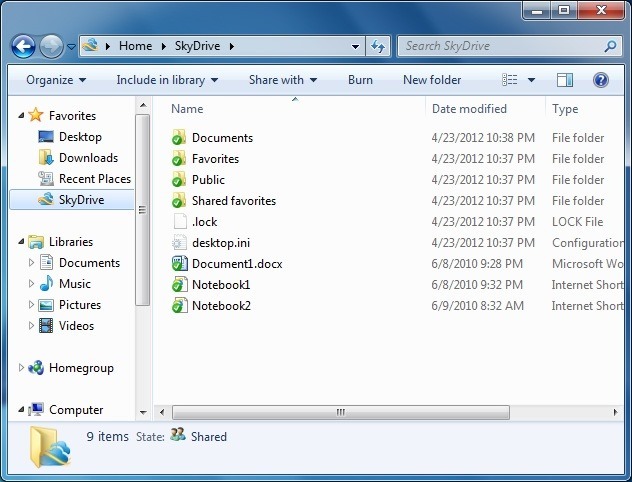 Click on the SkyDrive folder to see folders and documents. By default, the SkyDrive application chooses C:\Users\UserName\SkyDrive as its location but you can change that during the setup. The SkyDrive application starts with Windows. When the application is running, you will see a small icon in the system tray (notification area). Right-click on the system tray icon of the SkyDrive to quickly open your SkyDrive folder, manage storage, change default settings and close the program. SkyDrive client is also available for Windows Phone, Mac OS X Lion, and iOS. 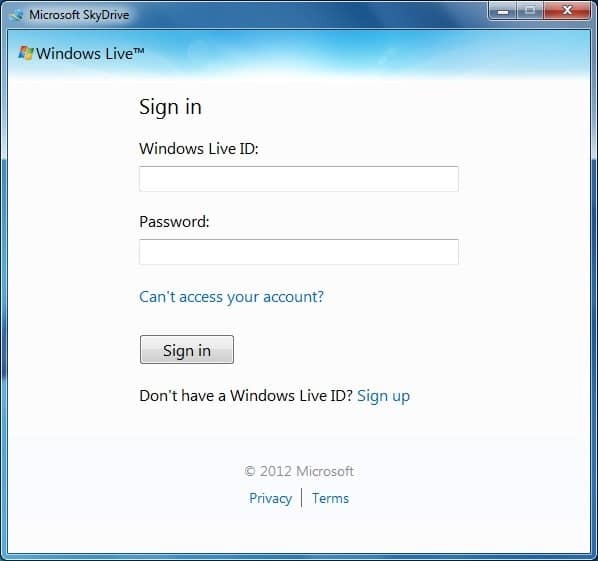 Visit this MSDN page to know more about the SkyDrive client. And if you are on Windows 8, don’t forget to check out the native Metro-style SkyDrive app.